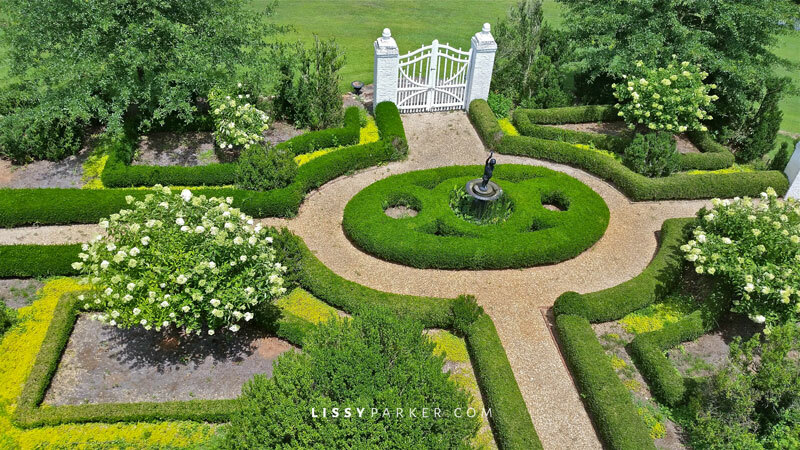 Boxwood entry garden welcomes all. The Originals—the season finale of the hit show—is being filmed at my friends’ farm in Madison, Georgia. The location director must have been in heaven when he found their farm. The home and gardens are so beautiful already that little work was required. My friends Randy Korando and Dan Belman are the owners of this amazing place. And they also own one of my favorite shopping destinations in Atlanta—Boxwoods Gardens & Gifts. Anyone who regularly reads this blog knows that Boxwoods is my Happy Place, along with several thousand other people in Atlanta who go there to put smiles on their faces and sunshine back in their days. Have a peek at the making of the show and a few before and afters of the set design. Then click on over for more pictures of the farmhouse in the April issue of Victoria. Beefcake and Jenny have a great time in the garden! Randy and Beefcake enjoy lunch! The army is getting ready. Is that a vampire or a werewolf? It takes an army to get the shot! The vegetable garden before its close-up—and there’s cutie pie Beefcake again! And here’s the veggie garden ‘after’ the crew finished planting flowers. The Originals cast getting last minute hair and make-up—wish I had a traveling crew. The dining room became a hospital for this episode. Living Room is ready for the day’s shoot—very dark and moody. The same living room set for a Thanksgiving family dinner—wow, I like this much better! Here’s another view of the living room. The front entry hall is used as part of the hospital room. What a lovely place to work for the day! At the end of the day it all gets watered and ready for tomorrows shoot! Thank you Randy Korando and Dan Belman for providing the photos. This is a gorgeous place! The garden and flowers oh la la!!! Cathy, This farm is truly an amazing place. It was originally a 1970’s ranch!